Another assignment for flower enthusiasts: I came across these beautiful purple flowers at Park Guell gardens. Due to the long stem and leaves I suppose it is a bulb flower very common in public places but I must have missed that botany lesson so I need your help one more time. Last quiz answer was Lantanas. Thanks to those who gave me the correct name or enhanced the scarce information of the post. Yeah, thank you very much Axx. I checked wikipedia and I think your right. I am learning some names now :). It is an interesting flower and the colors are nice. I never saw one before today. 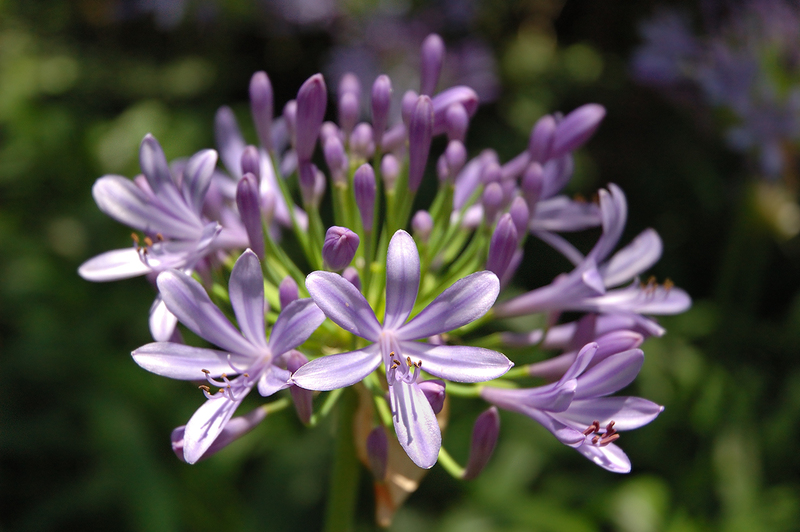 Yup, definitely agapanthus. Very beautiful shot. I appologize if you answer it later, but this is an African Lilly or Lilly of the Nile.